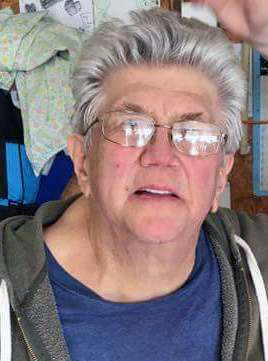 Jimmie Wilson, 70 of Taylorville passed away on Thursday, August 18, 2016 at 8:56 a.m. at his home in Taylorville. He was born on July 7, 1946 in Litchfield, IL the Son of Luther and Spray (Pease) Wilson. He married Ruthann Ondrey on March 7, 1970 in Hillsboro, IL. He worked as a Mechanic for Commonwealth Edison where he retired. Surviving are his Wife: Ruthann Wilson of Taylorville, IL; Daughters: Beth Wilson of Taylorville, IL; Pam Tennant and Companion Gary Rhymes of Taylorville, IL; Amy (Josh) Crowe of Taylorville, IL; Grandchildren: Marissa Tennant, Ashley White, Olivia Mellinger, Justine (Trevor) Hinton, Kayla Crowe, Lexi Crowe, Maycee Crowe; Great Grandchildren: Nevaeh Emery, Legna Emery; Sister: Alice (Ray) Schwab of Litchfield, IL; Brother: Paul (Shirley) Wilson of Litchfield, IL; Several Nieces, Nephews and Cousins. He was preceded in death by his Parents, Brothers Elmer, Leroy, Vernon, Kenneth and Richard Wilson Sisters: Alberta Stewart and Opal Hefley. Visitation will be held on Saturday, August 20, 2016 from 1:00-4:00 p.m. at Sutton Memorial Home in Taylorville. Funeral Services will be held on Saturday, August 20, 2016 at 4:00 p.m. at Sutton Memorial Home with Pastor Cody Frazier officiating. Inurnment will be held at a later date at Anderson Cemetery in Rural Paler with military graveside honors.